Scotland has done much to encourage its entrepreneurial culture. More Scots are considering setting up their own businesses and our rate of start-ups has been lauded. We now have many glittering business events, sponsored by our banks, that hand out awards to smart young companies. But what happens when things do not go according to the business plan? Unfortunately, we have seen that hundreds of Scottish companies have been very poorly treated by those who should have been nurturing and supporting them. The Royal Bank of Scotland is our biggest banking institution and it has gone through a great deal of self-inflicted trauma since the UK banking crash, but its behaviour towards many small and medium-size firms, across the whole of the Scotland, has been abysmal. Thankfully, the bank recognises this. Ross McEwan, RBS’s chief executive officer, recently took the step of making a public apology. He also announced the setting up of a complaints process to be overseen by retired High Court judge, Sir William Blackburne, and an automatic refund of certain fees paid by SME customers in the bank’s Global Restructuring Group (GRG) between 2008 and 2013. McEwan said that, in some areas, the bank could have done better for SME customers in GRG – an admission that many businesses may feel is a spectacular understatement given the accompanying assertion that “in a significant majority of cases, it was likely that RBS’ actions did not result in material financial distress to these customers”. 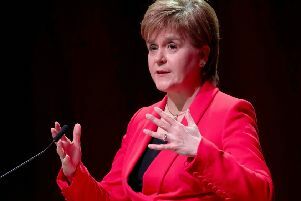 It certainly was a very challenging time for the nursing home operators, small hotels and guest houses, the tour company, the small engineering firms, and the independent high street shops, and many more who all felt that their Scottish bank let them down. No figures were provided by RBS in relation to the number of companies who did not survive GRG, and who were placed in an insolvency process, but some estimate over 90 per cent of businesses failed while within GRG. Against this background, the apology issued by McEwan that, “I am very sorry that we did not provide the level of service and understanding we should have done” may ring hollow for some. Sadly, for the many businesses who failed while in GRG, and who were placed in an insolvency process, the right to advance a claim is denied to the owners and directors of those businesses. This misses a large number of individuals and families in Scottish communities impacted by the bank’s behaviour. Instead it rests with the administrator or liquidator of the business to decide whether to participate in the scheme because any compensation will be distributed to the creditors of the company. It has been suggested that the scheme is akin to a hospital trust, having suffered a major outbreak of an infectious disease resulting in the deaths of hundreds of its patients, announcing a compensation scheme only to the few patients who were lucky enough to survive the outbreak. This is not about propping up business that were unviable. There will always be success and failure in business and banks must be allowed to make proper judgment on risk. This whole episode is about fairness, honesty and rebuilding a sense of trust. Our banks have been striving hard to demonstrate they have learned the lesson of the banking collapse. In this case, McEwan has to be commended for what his organisation has done to make amends. However, RBS now needs to take further steps to ease the pain of many individual entrepreneurs who lost the fruits of their work and investment. This matters a great deal. If we are to celebrate the creation of business and encourage our young people to think about setting up their business, we need our banking system to support those longer-term businesses who work hard every day and are not in the limelight.